Source: I received a complimentary copy of this book from Thomas Nelson through NetGalley. Opinions expressed in this review are completely my own. 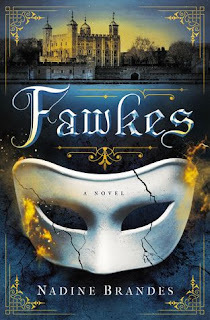 Thomas Fawkes is turning to stone, and the only cure to the Stone Plague is to join his father’s plot to assassinate the king of England. Silent wars leave the most carnage. The wars that are never declared, but are carried out in dark alleys with masks and hidden knives. Wars where color power alters the natural rhythm of 17th century London. And when the king calls for peace, no one listens until he finally calls for death. But what if death finds him first? Keepers think the Igniters caused the plague. Igniters think the Keepers did it. But all Thomas knows is that the Stone Plague infecting his eye is spreading. And if he doesn’t do something soon, he’ll be a lifeless statue. So when his Keeper father, Guy Fawkes, invites him to join the Gunpowder Plot—claiming it will put an end to the plague—Thomas is in. The plan: use 36 barrels of gunpowder to blow up the Igniter King. The problem: Doing so will destroy the family of the girl Thomas loves. But backing out of the plot will send his father and the other plotters to the gallows. To save one, Thomas will lose the other. No matter Thomas’s choice, one thing is clear: once the decision is made and the color masks have been put on, there’s no turning back. A retelling of the Guy Fawkes story?! Yes please! I was so psyched to read this book. I've also been following the author on Instagram for a while, and she's lovely. I wanted to like the book because I like her. But I don't think much of the writing. It's bland and rather amateurish, and could definitely use a few more rounds of editing polish. The dialogue, too, is weak; predictable, peppered with cliches, and too much on-the-nose. The descriptions are also disappointing. The language is never quite suitable, and they're too bizarre to actually work. Examples: "I put on a burst of speed, broke from the crowd, and bowled into the two guards." - "It rose upon its hill like an unslain dragon." See what I mean? They're slightly... Off. It's like she's using the wrong words to describe what she's describing. And perhaps that's one of the reasons why the setting doesn't ever come alive. The plot is very weak. It's kinda predictable, and the start of the story is way too rushed. The whole colour magic system takes a while to get a grip on, but that aspect is good. It's very unusual. I also love how not black and white the politics of the plot are and how there's good and bad on either side of the rebellion; it's not all cut and dry. That's realistic. But my main issue with the plot is how loose it is. The scenes don't tie together properly, and most of them don't seem to tie to the overarching purpose of the story. Incidents happen, but they're random. Thomas, as the protagonist, should be moving the plot in one direction, but he never does. He stumbles along on other people's decisions and choices and knocks into events that are completely coincidental. It is so frustrating. How many of us acted and spoke out and fought for beliefs that we held because our environment told us to? The characters are walking cliches and they aren't three-dimensional. Thomas' voice as narrator is childish, and he literally has no personality. Other characters like his father or Henry or any other members of the secondary cast are stereotypes and completely flat. They have no personality. Emma, who's the heroine, is the only person I actually like, but even then all the girl power coming from her feels preachy and forced. 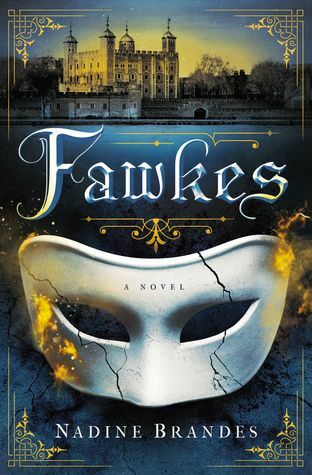 Fawkes is a cliche, untidily plotted story with stereotypical, flat characters and boring writing. Its politics are intriguing, but overall the book is a disappointment.